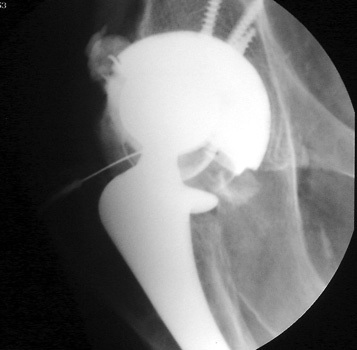 Polyethylene cup dislocation. 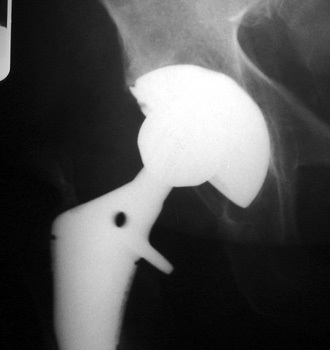 AP radiograph demonstrates eccentric positioning of femoral head in cup with subtle curvilinear density inferiorly corresponding to dislocated polyethylene liner. 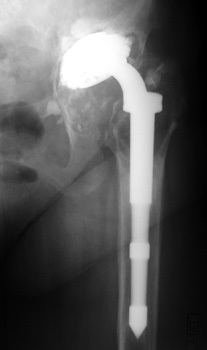 Arthrographic spot film demonstrates contrast outlining the polyethylene liner. 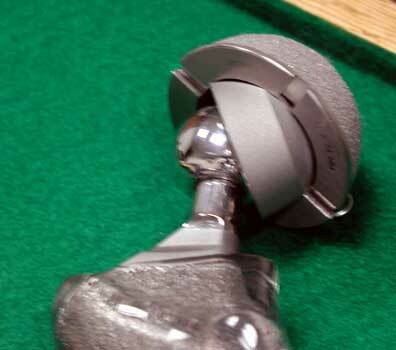 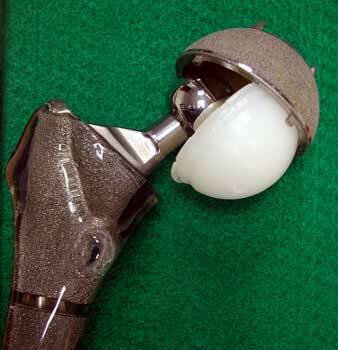 Model of total hip replacement components positioned with polyethylene liner dislocated. 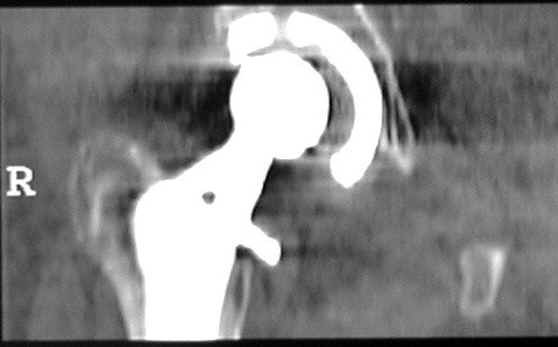 Metal liner dislocation. 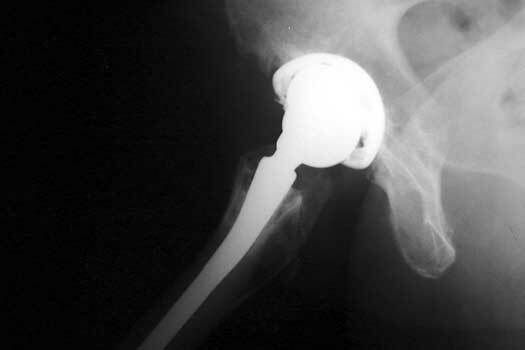 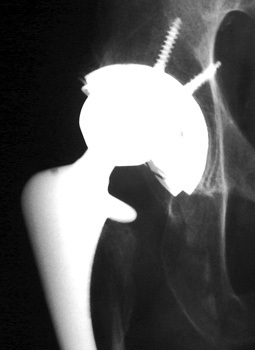 Model of total hip replacement components positioned with metal liner dislocated.